Larger businesses are often seen using 1300 numbers in Australia as their contact number. Smaller companies followed suite by attaching a 1300 number to their business name to make them appear like they are part of a larger corporation. Both smaller and larger business owners make use of this number as their advertising and marketing tool in order to attract prospects. Nothing is set in stone in that you would automatically attract more sales whenever you make use of 1300 numbers. 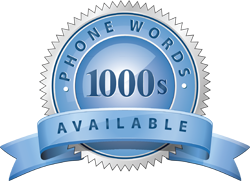 You would have to delve deep and do your homework to find which phone word would give you the most advertising power and put you in a strong strategic position. On using a 1300 phone number in Australia, you will be able to keep tabs on how well your advertising and marketing campaign is doing. This way you will be able to ascertain where the best response is coming from, and which areas would require more attention. Amazingly 1300 numbers prove to be ideal for businesses set within a local region. Although it is just as effective when used nationally. The only snag is that callers have to share the cost of the phone call. The good news is that when they make a call nationally, they only pay the cost of a local phone call. By using a cell phone, the caller would pay the cost as charged by their cellphone service provider. Owners of 1300 phone numbers only need to pay a small monthly cost, and would be afforded the opportunity to make 20 minutes of free local calls using their landline. Once the minutes have been used up, the owner of the 1300 number would need to pay for the remainder of the calls they receive. Unfortunately, the same does not apply to mobile phone numbers. Various rerouting options are made available through using 1300 numbers in Australia. You will find that these are time based in that incoming calls would be directed to your office landline and be redirected to your mobile number after hours. There will be no more losing out on business due to missing calls from potential buyers. On the other hand the calls can be received at more than one answering point. In order to promote your business even further, you should utilise smart phone number where the number 1300 would be followed by your business name or the product name you are promoting. This is why businesses all around Australia prefer using 1300 numbers.